Discovering your child has special needs is an occasion no mother forgets. 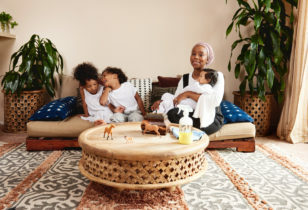 In today’s “Mom Talk” column Gena Mann, mama of 4 (Jasper, 16, Felix, 14, Lulu, 11, Indie, 4) and the co-founder of Wolf + Friends, a lifestyle site and brand-new app for millennial moms and families raising children with special needs (such as ADHD, learning differences, developmental delays, anxiety, giftedness, mental health issues, sensory processing issues, Down syndrome, and autism) shares her touching story. I remember the day a little over 14 years ago when a developmental pediatrician—whose name I have since forgotten—stood in our NYC apartment and announced that our beautiful, brown-eyed, almost 2-year-old did, in fact, have autism. At the time the doctor called it PDD-NOS, a euphemism for Autism Spectrum Disorder, kindly used for parents who weren’t ready to utter the “A” word yet. I crumbled to a ball in my bed that day, my husband, whose strength in times of crisis is unfathomable, reminded me that our son was still the same boy we had put to bed the night before. This was simply a description for all of the odd and difficult behaviors he had, and a term that would help us get him the help he needed. We asked all kinds of ridiculous questions that day, like “Will he grow out of it?” “Will he go to his prom one day?” As if going to prom was somehow the marker of having a good life. Anyone who went to their prom can attest to that not being the case. We were desperate to hang on to some shred of the life we had envisioned for ourselves and for him. What I remember about that day and the weeks that followed—aside from the sadness and fear—was the sense of being alone in a place where nobody understood what I was going through. Now, of course, that wasn’t true. I lived in New York City, for crying out loud, where there were people everywhere, many of whom I’m sure were starting to receive the same diagnoses for their children. But I didn’t know these people. Before the recognition of organizations like Autism Speaks, before the widespread use of Facebook for groups and resources, before just “Googling it” was really a possibility, I was basically left with my 22-month-old son who couldn’t talk and was opening and closing kitchen cabinets all day long, in between running circles around my living room. All I had was a tip for a gluten-free market in California that shipped bagels overnight (a gluten-free, casein-free diet might help, said the developmental pediatrician on her way out the door). My husband and I wracked our brains to think of any connections we might have or someone we could call who might have some answers and information on what to do next. We had already started therapies several months earlier, luckily having had a pediatrician who immediately referred us to early intervention when Jasper wasn’t speaking at 14 months. But other than his daily therapies, we needed to know “what to do next.” Like how to proceed in this new life, with this new diagnosis that would come to mean so much for our family. I remember naively saying at the time, during a moment of strength, “Autism won’t define us.” Well, that was delusional. It has defined us in so many ways, how our family functions and how we have chosen to see the world and help others. We eventually found a friend of a friend who we remembered as having a son with autism a bit older than ours. We reached out for a phone number, and she invited me to a support group she attended one evening each week in a midtown office building. It was mediated by an early intervention therapist and consisted of a group of parents who seemed to be a couple of years ahead of me as far as diagnoses, and a universe ahead of me with their knowledge of alternative therapies, doctors, specialists, books, you name it. I scribbled furiously in a notebook each week and became completely overwhelmed with the desire to try every single one of the things these people were doing—all at once—which was completely impossible, of course. I didn’t really feel connected to any of the moms I met in the group. Sure, they were nice and so helpful, but just not people I felt I had anything in common with aside from the potential fate of our children. We soon settled on a course of action including therapies, schools, alternative therapies, a move to Connecticut in time for preschool, more doctors, specialists, and medications. I spent about 30 hours per week taking my then 3-year-old (as well as his 15-month-old brother) to various therapies, while still trying to find time to go to the playground. 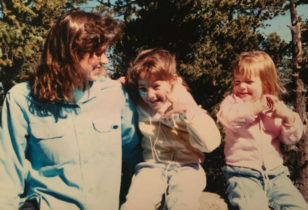 Through a few fortuitous introductions over the course of my first couple of years in the suburbs, I made exactly three friends—all of whom had children with autism. These were positively the only other moms I had any interest in spending time with in those years. We could laugh and cry about our lives with our children, the potty training (or lack of), the strange sleeping and eating habits (my son ate nothing but blueberries, Veggie Booty, and banana with peanut butter for 3 years), and the insanely difficult behaviors that made it hard to go anywhere. A dozen years later, those moms I met and commiserated with in the early years are still some of my closest friends. Now 16-years-old, I feel very fortunate that Jasper has made tremendous strides. He is able to participate in so many everyday activities: going to the supermarket, the mall, dining out at restaurants (he eats everything now), and he will happily get on an airplane as long as it is flying to someplace with a beach. He even made it to the Oval Office when President Obama signed the reauthorization of the Combating Autism Act (I had to stash some gummy bears in my pocket for that trip). I have to thank his incredible teachers and therapists for his progress and that badass group of warrior moms for helping me feel a sense of belonging during the entire journey. Finding mentors and mom friends who get it has been the greatest gift for me and my family and now I’m making it my mission to help other women do the same. Download the brand-new Wolf + Friends app, in order to “find your pack” and connect with other special needs moms in your neighborhood.